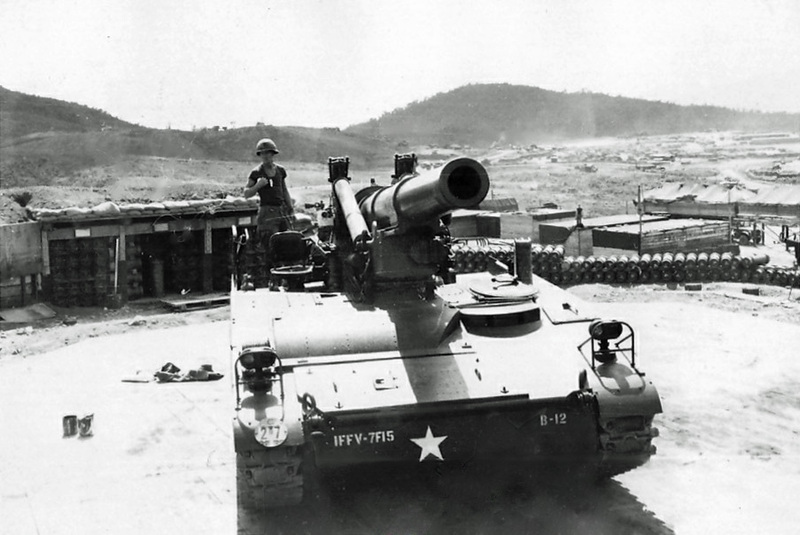 Self Propelled, 8-inch, M110 Howitzers located adjacent to LZ Uplift on "8-inch hill". These Artillery pieces fires support missions for our area of operations. They were with the 7th Battalion, 15th Field Artillery, IFFV. This gun is from "B" Battery.